mylittleblessings: A Very Exciting Giveaway and some Exciting News!! 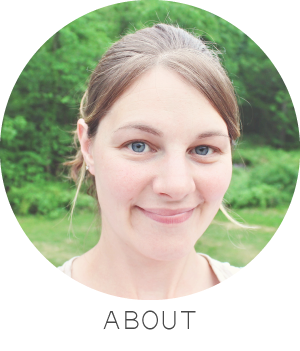 About a year ago I had a vision for an online class. 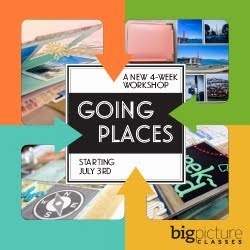 So I contacted Big Picture Scrapbooking and ran my idea by them. They accepted the idea and from there the process began. 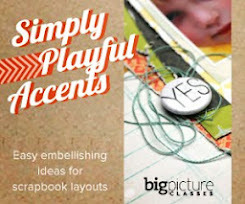 Here I am months later getting to share with you my first self paced class called "Simply Playful Accents"!! I still can't believe this is real and am so excited for you all to take this class. Stitching, and sequins, and ribbon...oh my! Now doesn't that class sound fun?! 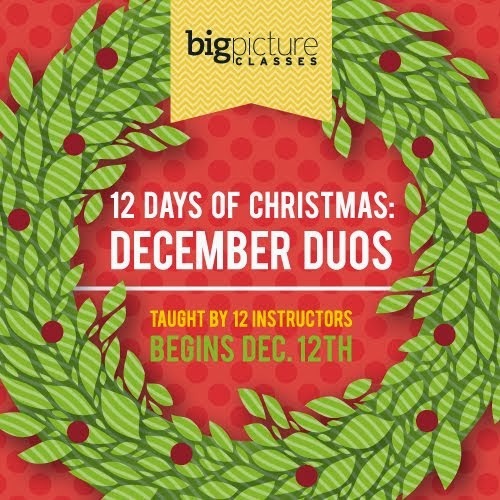 I hope you will take this class and it's self paced so you can work on it when you have time. And since it's my class I get to give a seat away!! So leave me a comment telling me what you think you would like about this class. You have till Friday July 12th to comment. How awesome! Congratulations! And I would love to win a spot in the class. Thanks for the chance! Once I have finished with the basic design of my layout I am always struggling to think of what to add next as I often feel that there is something missing but don't know what it is! Your class sounds just the ticket and I am grateful of the chance to win a place on it. I feel like I am accent challenged! It is definitely the hardest part of the process for me. This class sounds like just what I need to overcome my problem! Thanks for the chance to win! Yay! So exciting for you! I saw the add for this a BPC! Fun! Thanks for the chance to win it! Who wouldn't like to add a bit of pizzazz to their layouts? I love this idea! So exciting to have your very first class! I struggle coming up with creative ideas. In honesty I usually get mine from what others have done that I have seen on their blogs and on pinterest. I would love to take a class and learn some tips that I could do on my own. Thanks for the chance! And good luck on your first class. I am sure you're going to be amazing since I adore your layouts! What a wonderful idea, Angie! Your layouts are always so full of fun accents, and it will be great to learn more about your creative processes. You rock!! Congratulations!! I so love your idea and would be so happy to be in your first class and learn how you add funness in your art works :) Good luck and thanks for the chance! It's exciting when our ideas actually become relaity in a big way! I think I'd be excited to learn to use ribbon, twine and washi in more inventive ways than just a cute flag on the page! I would love fresh ideas from you! Sounds great! I would love to take that class! I used to make so many of my own embellies, and would definitely like to get back into doing that with style :) Best of luck with your class! Congratulations, Angie! That's so exciting! Thanks for the chance! Congratulations! I love your style and how you combine elements, how wonderful to be able to learn how you approach things! This is fantastic! Congratulations! I would love to be a part of this class and learn more techniques on how to/where to add little embellishments! I'd love this class because I love embellishments...I may be a little bit obsessed with them! So it would be awesome to learn fun new ways to use them. Congratulations Angie! I love the idea of adding just a little touch to help improve my layouts! thanks for the chance and again, congratulations! Woo-hoo! Sounds like a terrific class! Often I look at my layouts and think, hmm, it needs something…but I can never seem to put my finger on it! Thank you for the chance to add some playfulness to my pages! !